Instagram is an addictive app where we all strive to show off our ‘fabulous’ lives and our best looks; this is usually done by tweaking ourselves with filters, of course. Most users will just upload any photo that looks great of them and their mates on a special occasion, or a photo of a view that was irresistible on a weekend getaway. More importantly, most of us scream at our friends and family to like our photo as soon as we post it. However, other users have some other ideas on what they upload, which leads to a good stalk of their profile every now and then. 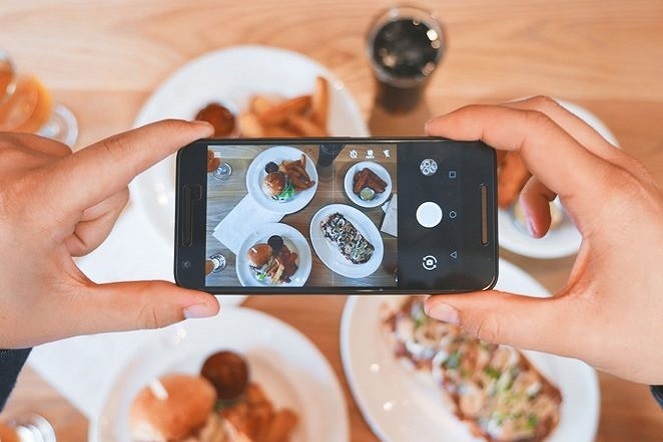 Instagram is a social platform where we should embrace our style and show off our genuine personas – however, for some it’s all about attracting a totally different life. These are the six types of people you’ll see on Instagram that capture our attention a little too often. As you would have noticed by now, it seems that about a third of the people we know are now suddenly ‘fitness models’ who advertise protein powder brands that don’t even sponsor them. Or perhaps you have a friend who’s been sponsored (for real) to wear luxurious brands and now has over 20k followers. Either way, wtf!? It’s interesting to see people we used to know suddenly become Insta famous, and how easily anyone who works on their ‘gram enough can attain this type of fame. These types aren’t around as often as the others, however their Insta is dark, gloomy and perhaps on the verge of emo? They’re called the ‘American Beauty’ Instagrammers because they literally upload a photo of a plastic bag in the wind and caption it something deep like “the best dreams and the worst nightmares have the same people in them.” It’s strange, irrelevant and quite unnecessary. Of course they should be allowed to do their thing, but this type of Instagramming is usually just a phase before they move on to the next way to shock their followers. And watch her put a tiny bit of Amaro on it. Source. unless you like getting called out on. 4. Do You Even Have a Face? They’re either trying to be mysterious or just genuinely prefer showing their back to the camera. Either way, it’s definitely a less narcissistic approach of not showing yourself in every single photo you upload – it can actually be good to change up your profile aesthetics by taking this idea. Not even a lie. Source. They’re usually media students who regularly attend rural music festivals while showing off unique fashion trends – either almost naked or covered from head to toe. They’re also notorious for insta-storying hipster cafes that ‘no one knows about’ (we all know The Grounds of Alexandria) with irrelevant, quirky captions, such as quoting Bart Simpson, to describe their macadamia nut milk late. Or, they’re hippies who swim in a lot of random waterfalls saying how much they love the world. The latter type is better. A selfie that’s been uploaded three times with the head tilted a little more to the right in each one. Just annoying, really.